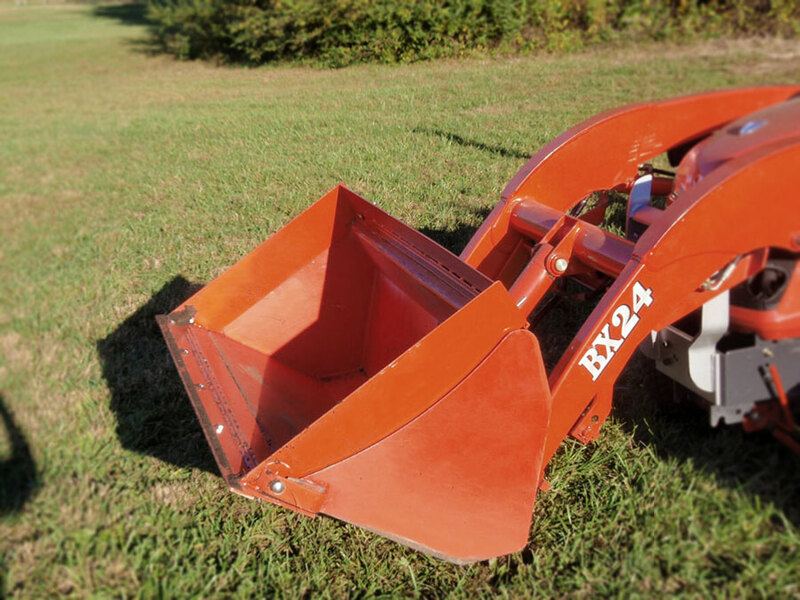 Adds big capacity to your existing Front Loader bucket. No drilling. No welding. No modifications to your equipment. Attaches firmly in about a minute. 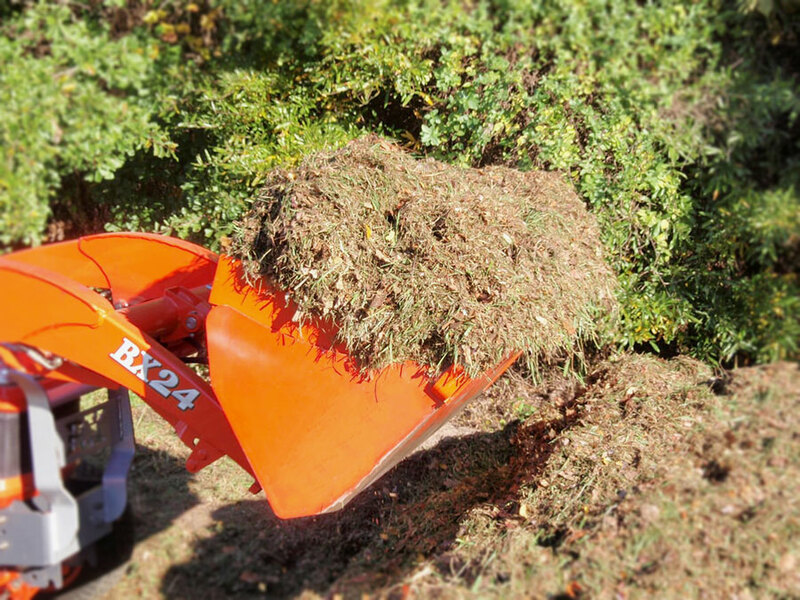 Perfect for snow or other fairly light materials like mulch, compost or even loose dirt. Increases the struck capacity of the bucket by 70% and the heaped capacity by at least 100%. Imagine, 5 trips instead of 10 to move that pile! Strong, but light enough to handle and store easily (roughly 50 lbs), although you may never take it off! Optional, easily replaceable steel wear edge for those who scrape paved surfaces. Note: Please contact us if your bucket has been modified to ensure proper fit. My only complaint about my BX25D has been the size of the bucket. The Bucket Expander has taken care of that! Very easy to install (minutes). Moving wood chips to the orchard was much faster. Just be careful when loading up heavier material, i.e. compost or top soil. You can definitely pick up enough material to throw off the tractor's balance. What a great addition to my BX25. It really increases the capacity of the bucket and goes on and off quicker than you would believe. I ordered a bucket expander with replaceable cutting edge for my Bx 1860. Very well made, installed easily in only a few minutes. Works great. Its over a year and a half old and no problems yet. And yes I've never removed it since the original install. Great addition to a BX25 tractor. We needed more bucket capacity to handle daily chores for 3 horses. 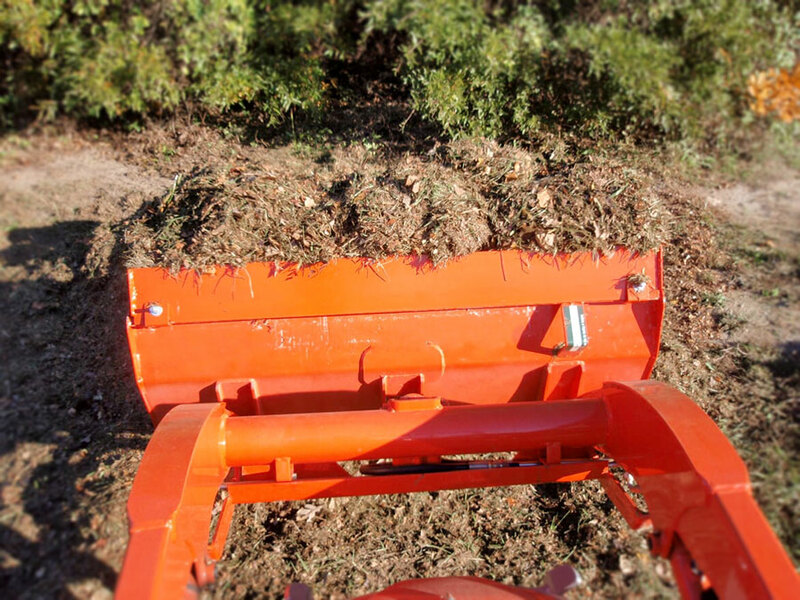 The bucket expander eliminated 1-2 trips a day to the compost pile. At 10 minutes per trip, that's over 60 operating hours per year on the tractor, not to mention our time that's being saved. That's a great value! Highly recommended! Easy installation (we haven't taken it off yet!). This is my 3rd product from a company that I highly recommend. I installed it in approximately 3 minutes. Worked perfect on our latest mulch renovation job, saved so much time by allowing us to carry much more, than the original factory bucket allows. It is a great attachment to add in your collection of products from the Bxpanded family. I ordered the bucket expander approx 4 years ago and never took it off! The increased bucket capacity saved me so much time! The replaceable blade is a must. The construction is top notch. Definitely a must for any BX owner. Great add-on for my BX25D. A lot less trips. It worked alright. The look is a bit off, but that is to be expected. A: We do not recommend using the Piranha bar with the bucket expander installed. Q: I have a BX2670 with one of your Parana bars on my std bucket. Will or can the Parana bar be mounted to the bucket extender with the replaceable wear edge?